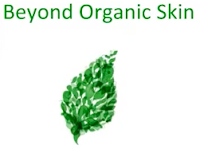 At Beyond Organic, we believe that reducing your exposure to environmental toxins is one of the most critical—and yet overlooked—aspects of managing your health. Every day, women and men alike apply up to dozens of personal care products on their skin—oftentimes without realizing the number of toxic chemicals that are contained in those products. The New Skin and Body formulas are Certified ToxicFree® with ingredients from organic, wildcrafted, eco-friendly sources.